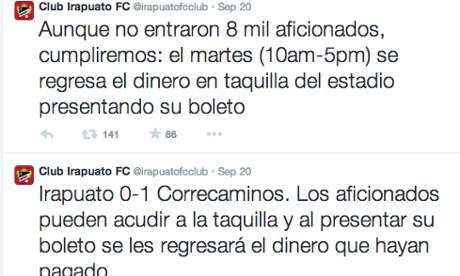 In a world where money and greed seem to be the driving forces, a second division Mexican club decided to refund their fans after losing another match this past weekend. 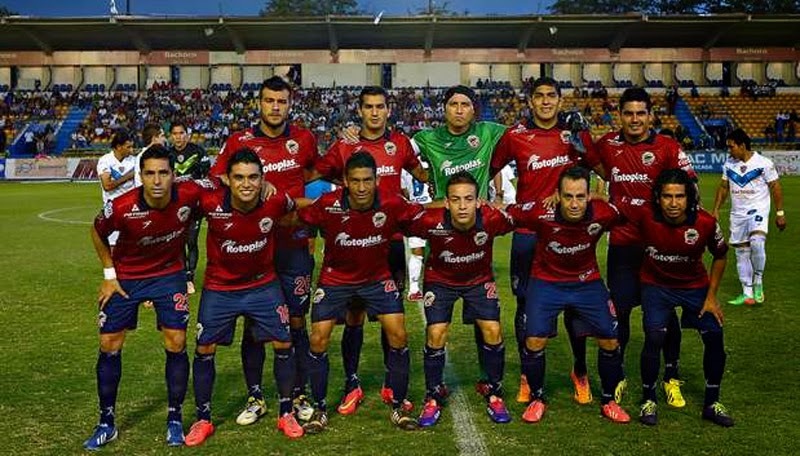 The Mexican club Irapuato from the second division lost at home 1-0 against the Correcaminos, leaving them two places from the bottom of the Liga de Ascenso. Leading up to the match they had advertised that if 8,000 fans attended the game and they lost that they would refund the cost of the tickets. This was a marketing strategy aimed at boosting their attendance numbers which has been in declined due to the poor results. The attendance didn’t reach the 8,000 mark, only 2,467 people attended the game, but the club decided to honor the promise and will be refunding the cost of the tickets to those that were at the game. A nice gesture from a club that perhaps needs that money almost as much as they need wins. Something that is not very common in football but I am sure it will be well received by the fans. Living in Toronto, I can only imagine how much money Toronto FC would lose if they offered refunds after losses. Never mind losses, if they offered refunds only after embarrassing losses it would still be enough money to put a huge dent in their operating budgets. Knowing their track record for the last 7 years they are wise not to adopt this marketing strategy. Many clubs from around the world are probably in that same boat, with miserable season after miserable season, and on top of that some embarrassing losses against smaller opposition or even hated rivals, offering a full refund would perhaps bankrupt the clubs, but it would be the ultimate putting your money where your mouth is. I would like to see more clubs and ownership's taking this approach, even if only the odd time.